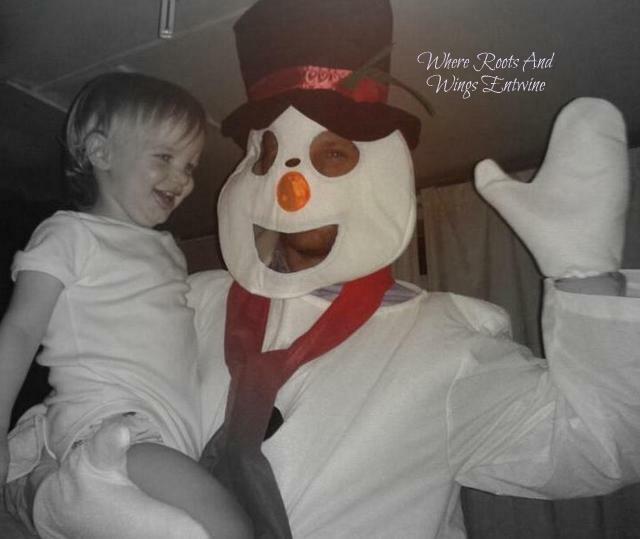 Where Roots And Wings Entwine: Snowman came to visit. Little man was thrilled when Snowman popped in for a visit. Snowman looked the part with black pom-pom detail down the centre of his long white top, a pair of white mittens and a white snowman headpiece with black mesh eyes and mouth. The snowman looked was completed with a quintessential orange carrot nose, long red scarf and a black top hat with a metallic red trim and holly decoration. As soon as little man saw the friendly Snowman enter the room he wanted a big cuddle. Little man was fascinated by our new friend and loved his big orange carrot nose. 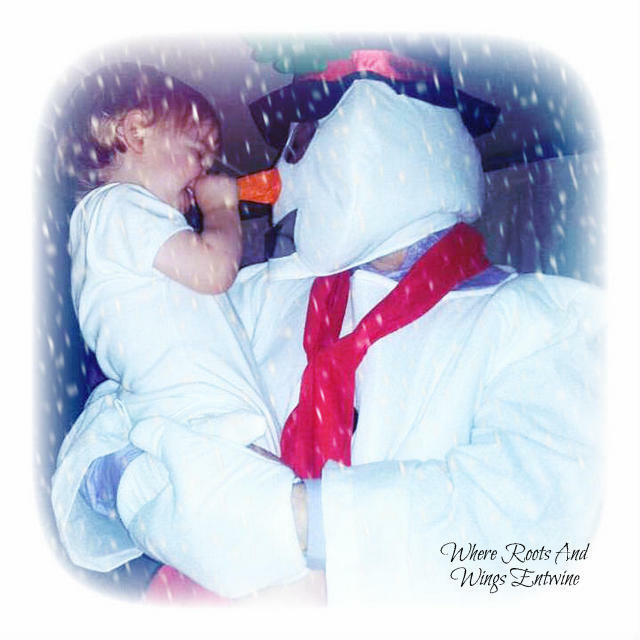 The one size adult snowman costume is a lovely, basic costume that allows you to bring a snowman to life and add a touch of snowy magic to Christmas. It is a shame that trousers are not included in the set to complete the snowman look however the set is enough for you to become a snowman for the decent price of £24.99. This snowman costume can be purchased on the Jokers' Masquerade website along with a host of other Snowman Costumes and Jokers' Masquerade Christmas Costumes as well as a huge range of other non Christmassy costumes for children and adults alike. More information about Jokers' Masquerade. 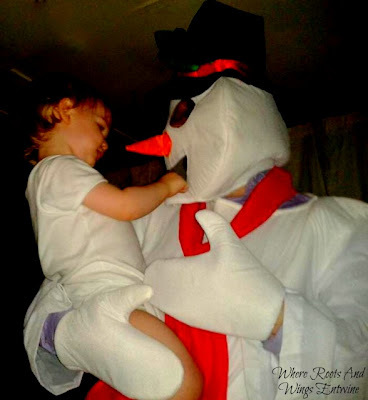 The snowman costume is perfect for using over the festive period and with no sign of snow this Christmas it has brought a hint of snowy delight to our house this year, entertaining little man a great deal.